Why These Tree Service Professionals? Our goal is to connect people with the best local experts. We scored tree service professionals on more than 25 variables across five categories, and analysed the results to give you a hand-picked list of the best tree service professionals in San Francisco, CA. The tree care professionals at Arbor MD have more than a decade of experience serving San Francisco. The certified arborist promotes tree health and specializes in tree pruning, preservation, and technical removals. Arbor MD also provides stump grinding, consultations, arborist reports, root pruning, preservation reports, street tree maintenance, and tree planting. Free estimates are available. Bay Area Tree Company has provided quality tree care since 1975. The expert climbers and ground crews provide tree planting, trimming, shaping, hazardous removals, artistic pruning, stump grinding, wet and dry fertilizing, safety trimming, crown reductions, deadwood removal, thinning, and lot clearing services. 24-hour emergency service is available to aid in storm damage clean-up. Bay Area Tree Company works with residential, commercial, and industrial customers. Butler Brothers provides quality tree trimming services throughout San Francisco and San Mateo. The owner and operator is licensed and ISA certified. Services include fine pruning, shaping, crown reduction, removals, cabling, stump grinding, and tree planting. Butler Brothers is a member of the Bay Area Arborist Cooperative. Christopher Campbell Tree Design specializes in helping trees thrive in urban environments. Owner and certified arborist Christopher Campbell's philosophy includes natural flow pruning which exposes the organic growth pattern of each tree. The company provides a variety of services, including pruning, risk reduction, tree selection, consultations, diagnosis and treatment, removal, stump grinding, and support systems. Free estimates are available. Clements Tree Service specializes in removing large trees in tight spaces. With decades of experience, the licensed, insured, and bonded arborists provide tree removal, thinning, trimming, shaping, view restoration, crown reduction, stump grinding, fire prevention, lot clearing, and brush chipping services. Clements Tree Service's tree climbers also evaluate the health, hazard, and safety of trees. Established in 1994, EC Builders Tree Service brings quality tree care to the Bay Area. Full-service tree care includes removal, pruning, trimming, shaping, stump grinding, and wood chipping. The experts climbers comply with San Francisco's tree ordinances. Maintenance programs and emergency services are available as needed. EC Builders Tree Service also provides an array of construction needs. Evergreen Tree Service has provided the Bay Area with quality tree care for more than 20 years. The ISA certified arborists specialize in fine pruning, hazardous removals, tree planting, stump grinding, chipping, hauling, fire breaks, and lot clearing services, and are available for projects of any size. Evergreen Tree Services is fully licensed and insured, and works with local residents and businesses. Geo's Tree Care provides an array of arbor care services to the Bay Area and surrounding counties. Professional services include tree planting, trimming, shaping, removal, stump grinding, crown reduction, and view enhancement. The certified arborist advocates for trimming techniques that help trees thrive. To aid in tree health, Geo's Tree Care also offers disease diagnosis, pest diagnosis, and fertilization. Emergency services are available. Happy Tree provides custom tree care for San Francisco area residents and businesses. Certified arborists have been trained to prune, stump grind, and restore views. Tree management is essential to its health; Happy Tree offers trimming and fertilization services. Fire protection is available to clear the land of excessive flammable vegetation. Happy Tree also offers landscaping services. Johnson's Tree and Garden Service works with residents throughout the Bay Area. The expert staff's expertise includes tree pruning, tree removal, stump grinding, and tree planting. They also offer free consultations and pest control recommendations. The crew at Johnson's Tree and Garden Service also offers aged wood slabs and free mulch. The company is ISA Certified and a member of the California Landscape Contractors Association. Since 2001, Jorge's Tree Service has provided San Francisco and Bay Area residents with an array of tree care options. Popular services include large tree removal, tree planting, complete tree health maintenance, view restoration, trimming, pruning, shaping, thinning, topping, stump grinding, root removal, and hauling services. The licensed, insured, and bonded crews also provide emergency tree work. In addition to complete tree care, Jorge's Tree Service provides general landscaping services. Serving the San Francisco Bay area since 1976, Kutches Tree Company provides a variety of tree care services. The highly-trained experts offer artistic pruning, stump removal, large tree spraying, transplanting, bracing, lining, and cabling. Kutches Tree Company has a passion for tree health and also specializes in deep root fertizliation, insect and disease treatment, tree growth negotiators and beneficials, transplanting, and tree conservation. Founded in 1977, Marin Tree Service specializes in tree preservation. Professional evaluations and diagnoses include tree sculpting, view restoration, pruning, cabling, tree removal, stump grinding, landscape evaluations, site inspections, disease control, pest control, and fertilization. Owner and certified arborist Robert Morey has more than 30 years of experience and is affiliated with several professional arboriculture organizations. The experienced professionals at Mayne Tree Expert Company offer comprehensive tree services. Professional tree care includes consultations, pruning, removal, pest management, fertilization, and diagnostic services. Certified arborists specialize in making the initial diagnoses and are involved throughout the process. Crews provide emergency work to contend with the aftermath of storm damage. Premier Tree and Landscape utilizes a custom approach to tree care. Serving the San Francisco Bay area, the expert crew offers tree trimming, shaping, pruning, removal, stump grinding, and fertilizing. Premier Tree and Landscape is family-owned and offers free estimates. The company also provides landscaping services. With more than 30 years of experience, Swift Tree Care offers expert tree care to the Bay Area. As a full-service tree care company, the crews offer trimming, evaluation, lot clearing, native oak care, view restoration, crane service, and stump grinding. Before removal, a safety assessment is provided by a certified arborist. When adverse weather strikes, Swift Tree Care removes limbs and trees with 24-hour emergency service. Landscape services are also available. The Mac's Tree Service has has served Bay Area residents for more than 20 years. The professional arborists specialize in tree shaping, pruning, trimming, and stump removal services. When tree removal is necessary, the experts at The Mac's Tree Service clean up and haul all debris. The team offers free, no-commitment estimates. The experts at Timberwood Tree Service specialize in the health and safety of trees in the Bay Area. Professional services include tree removal, stump grinding, brush clearance, fine pruning, view clearing, stump removal, thinning, cabling, and bracing. Timberwood Tree Service produces arborist reports. Tree Management Experts provides an array of tree care and consulting services in San Francisco and the surrounding Bay Area. Services include tree health assessment, tree protection planning, preservation during construction, tree management, tree hazard assessment, and tree maintenance plans. Certified arborist and licensed contractor Roy Leggitt also has an extensive background in horticulture, including a B.S. in Plant Science, allowing him to take a holistic view on how to best ensure trees thrive. Tree Shapers provides custom tree care for San Francisco. Certified arborists provide consultation services for tree disease, pest diagnosis, structural evaluation, soil analysis, tree encroachment problems, tree appraisals, and tree selections. 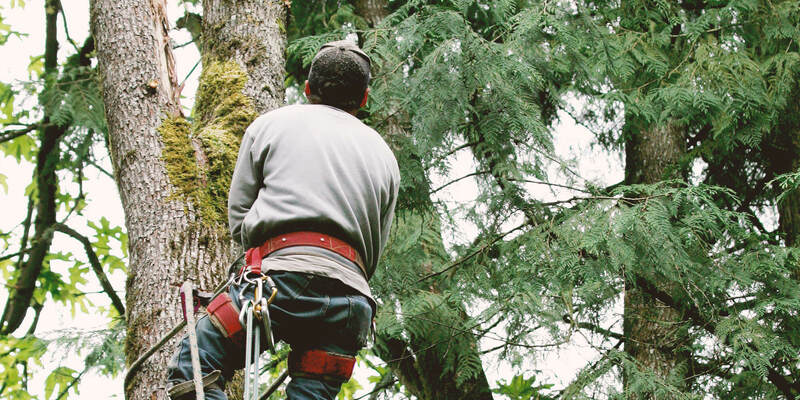 The arborists also use a variety of preservation strategies, including tree maintenance, restoration, and protection during construction projects. Expert crews also perform an array of pruning and planting services. The lead arborist travels worldwide to study trees and offers local speaking engagements. Since 1987, certified arborists at Treemasters have specialized in tree health and care in Marin County and the Bay Area. Tree experts specialize in assessments, tree removal, stump grinding, chipping, disease control, pruning, cabling, bracing, and pest control. Treemasters is passionate about tree health, and also provides root collar excavation, soil aeration, soil analysis, and nutrient management. The experts at Trees Company assist in tree selection and location so that trees thrive in their environment. The company provides the Bay Area with tree shaping, reduction, restoration, vistas, thinning, removal, and stump removal. A licensed arborist is on staff to analyze the needs of each tree. Trees Company also offers garden cleanup and plant installation.